Providing excellent service is an ongoing commitment to our customers. Wherever you are and whatever the job may be, CK Power has the trained technicians to solve problems. 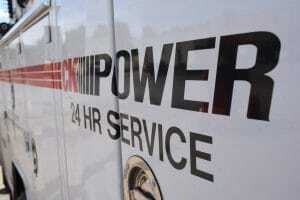 Even if the power goes out, we have a fleet of service vehicles on standby, 24 hours a day, to keep you in business. We maintain over 4000 standby generators in the tri-state area and offer service on all generator sets, no matter the manufacturer. From irrigation pumps, to mobile generators, and even marine equipment, we have you covered. 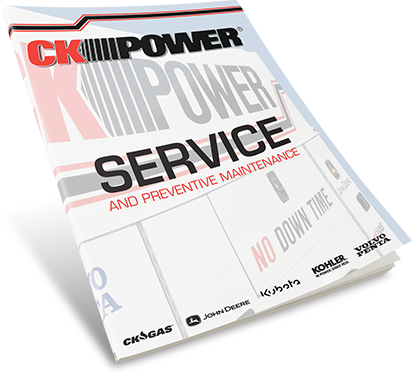 If you have an engine or generator problem, the Service Department at CK Power can get you up and running again. We offer full service repair and maintenance on any make and model of engine. While we specialize in engine rebuilds/overhauls and mobile application generator repair, we also service many other types of equipment: mobile generators, industrial equipment (chippers, blowers, etc.) and target saws. Give us a call today.